Taillight shapes are a big deal for Toyota these days, as the ornate styling of the 2016 Prius hybrid has demonstrated. Now the company has released a teaser photo of illuminated taillights on what it calls "the next mechanical marvel in the Prius lineup." That car will debut on Wednesday, March 23, at the New York Auto Show. And it could well be the long-awaited plug-in hybrid version of the fourth-generation Toyota Prius launched as a 2016 model. Toyota had promised earlier that it would differentiate the styling of the next plug-in Prius model from that of its conventional hybrid sibling. It's possible that the car could even get a new model designation: Toyota trademarked the "Prius Prime" name last summer. Regardless of what it's called, the new Prius model will have both "stand-out style" and "intelligent eco-tech," according to Toyota's terse press release. ALSO SEE: Toyota 'Prius Prime' Trademark Registered; What New Hybrid Could It Be? But if this is the new Prius plug-in hybrid model, as many in the industry expect it to be, the biggest single questions will concern its electric range and fuel economy. The previous version, sold from 2012 through 2015, had only 11 miles of electric range—the least of any plug-in car—and just 6 miles of that was continuous even on the gentle EPA test cycle. It was, however, rated at the same 50 mpg combined by the EPA as the conventional Prius Liftback model. 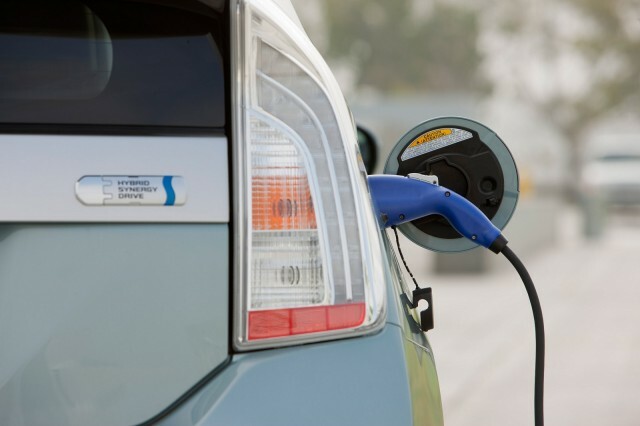 Industry sources interviewed last summer by Green Car Reports suggested that they expect the new plug-in Prius to offer a range of as much as 30 miles. That will come from a lithium-ion battery pack sited under the rear seat, a position allowed by the use of the Toyota New Generation Architecture platform that will ultimately underpin not only the Prius but millions of other Toyota models each year. 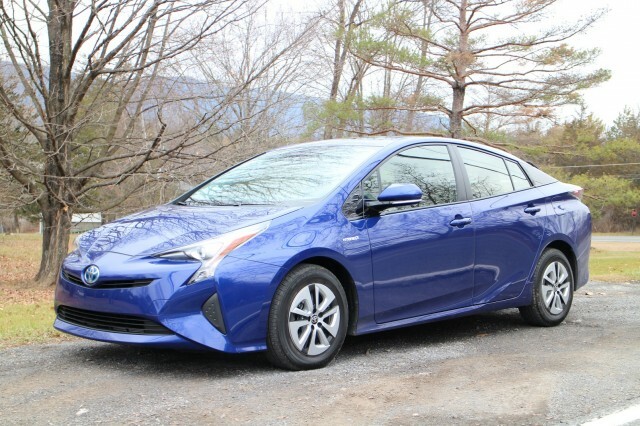 That vehicle's rear trailing-arm suspension replaces the transverse torsion beam of the previous Prius, and gives more flexibility for siting battery packs and fuel tanks of various sizes in the rear portion of the car. The new plug-in hybrid Prius will compete with the second-generation Chevy Volt, now EPA-rated at 53 miles of electric range and 42 mpg combined. 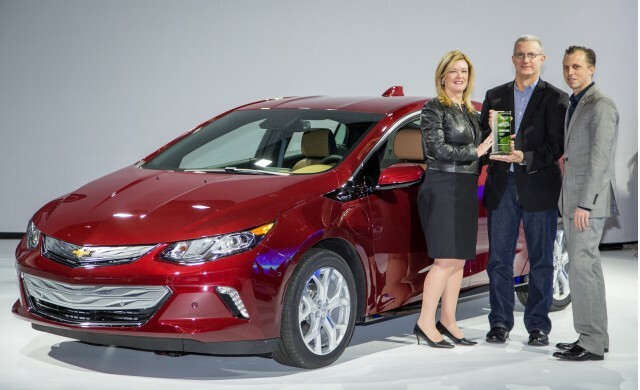 Other competitors include Ford's pair of Energi plug-in hybrid models, the C-Max small hatchback and Fusion mid-size sedan (20 miles, 38 mpg), along with plug-in hybrid versions of the 2016 Hyundai Sonata (27 miles, 40 mpg) and the 2017 Kia Optima. There's also the range-extended BMW i3 REx, at 72 miles and 39 mpg, although its usability for long-distance trips is somewhat compromised by the need to fill up its tiny 1.9-gallon gas tank every hour or so. The new Prius plug-in, if that's what this car turns out to be, will be a vitally important model for Toyota in California and other markets where plug-in electric cars are growing more popular. 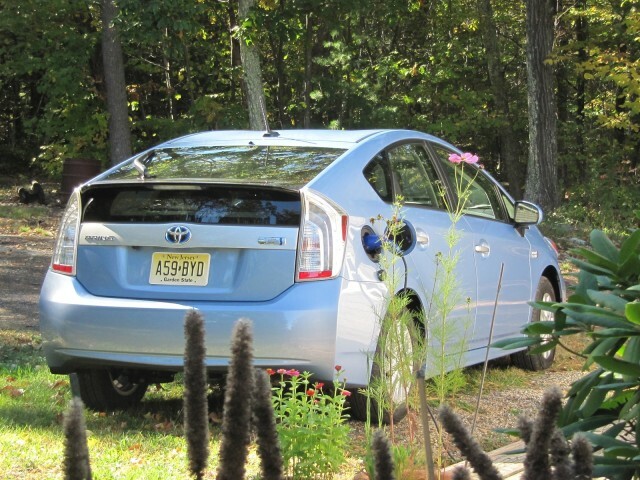 From 2012 through last month, Toyota sold more than 42,000 of the first Prius Plug-In Hybrid. We'll bring you all the latest details of the new Toyota Prius model from next week's New York Auto Show as it happens.